Note: Brian Uhlig is a senior partner at Alera Group and a Health Rosetta-certified employee benefits advisor who has worked with both large and small employers. He compiled this question and answer based on his years of experience. The unemployment rate stayed below 4% through the end of 2018, keeping the ball in job seekers’ court and making it more difficult for employers and HR professionals to attract and retain talented individuals. A large part of the reason why employers are having a hard time staying competitive is because they’re spending way too much on their employees’ health benefits. Annual increases of 5-15% for health coverage costs make it challenging for employers to raise salaries without compromising their health benefits package. In fact, many employees are earning less today than they were eight years ago, primarily due to the cost of health coverage. Q. What are some of the issues in most employer health plans? First off, employers are spending far too much money for low-quality benefits. 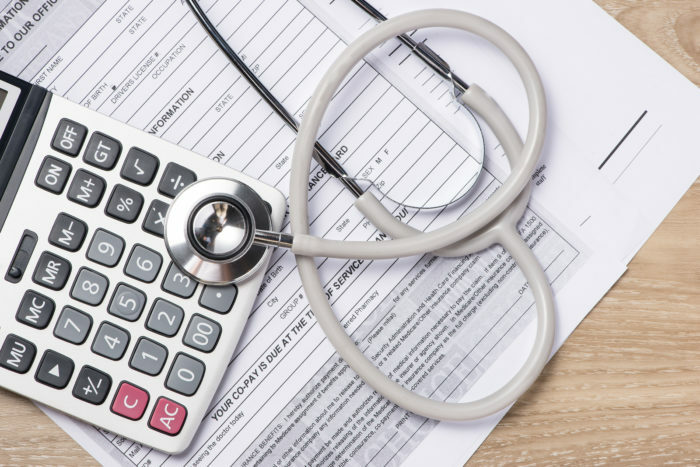 In 2018, employers spent nearly $20,000 on family plans and almost $7,000 on single health insurance premiums for their employees, according to a report from the Kaiser Family Foundation. They have come to believe the costs increases of the past 10+ years are unavoidable. The only solution – they’re told – is shifting the burden to employees, either through higher monthly contributions on the front end or increased deductibles, co-pays and out-of-pocket expenses when they go for services. The last problem is a total lack of transparency in what they are paying for and receiving. Employers aren’t given any information on how their money is being spent. That’s all “proprietary data” of the insurer. This is exactly why we’re seeing more and more employers moving to at least a partially self-funded program. Q. Should employers take the self-funded route? The pharmacy program built into a fully-insured plan is one of the worst contracts any employer will ever sign. The insurance carriers who write these plans don’t really want to control an employer’s costs, because their reimbursement is based on a percentage of the total amount spent on drugs! That means if the carrier is able to reduce total healthcare costs for a population by 20% (which isn’t that difficult) then their revenue would also go down by 20%, since they are only able to collect that same administrative percentage of a now smaller number. It’s all about spending smarter; employees receiving better care from high-quality providers will save employers money in the long haul. Current and prospective employees will be healthier, need fewer appointments and time off from work, and – should employers use their savings to increase salaries – be incentivized to stay with the company. Employers could also use the money they save to invest in the local community, a decision which could further influence philanthropic employees’ decision to stay or go. Q. How can smaller organizations afford the inherent risks that come with this model? TPAs helps process claims and assist with administrative responsibilities for a monthly fee. By working with one, employers can take a closer look at their claims and see what services/providers are costing them the most. With this information, employers can give employees incentives (like no copays) to visit high-quality, low-cost providers. Unlike a fully-insured plan provider, the TPA is on the employer’s side of the table; they treat your dollars as if you actually pay them. Stop-loss insurance is coverage that comes into play after claims surpass what an employer has budgeted. A captive program is ideal as savings are returned to the employer. Properly written, these policies virtually eliminate risk over a sufficiently lengthy period of time (usually three years). Q. Why are premium costs rising, and is there any way to avoid this? When you look at the cash prices that healthcare providers charge people without insurance for certain medical services, you will find that those costs haven’t gone up by much. Yet what employers pay for healthcare premiums continue to rise. That’s because even though employers like to think they do, not all benefits advisors compare plans among carriers, looking for ones that have better benefits and are more affordable. What is the total number of commissions and bonuses you receive from insurance carriers? Are you willing to sign a service agreement with fiduciary duty protection? Are you willing to be paid for good performance? Good performance = Costs don’t go up each year! Q. What are the best ways for HR to communicate with employees about health plan changes and other pertinent info? To get the most value – and savings – out of their self-funded plan, it’s imperative that employers educate their employees. Many employees may not realize that the providers they’ve spent years seeing fail to produce a significant number of positive patient outcomes, yet cost a lot. Opening their eyes to this information and pointing them in the direction of physicians who cost less and perform better will help them realize that these plans aren’t about saving money at the expense of the employees ­­– they’re about spending less and helping employees lead healthier lives. This can be communicated through presentations, workshops and trainings, and plan details should also be shared with employees via print or email so that they have 24-hour access to the materials. HR professionals should have a thorough understanding of the plan as well so that they can answer employee questions and concerns with ease.